A cheery hello to you – Welcome to my Blog! This summer I held a Workshop teaching pet owners like you *exactly* HOW to use ALL of my Healing techniques. Here is a sample from my ‘Healing Your Pet Naturally’ Workshop – this was an 8 hour COMPLETE Course, but I’m giving you some of the highlights. P.P.S. If you have yet to grab your copy of my NEWEST Special Report, do so quickly before they are all gone. 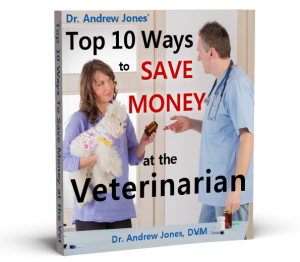 It’s Fr*e*e and it will give you my TOP 10 Veterinary Secrets to Keeping Your Pet Healthy, Extending Your Pet’s Life, and Help your Dog or Cat Live Longer. HI… wish I cld understand ur video but unfortunately I do NOT hear as I m DEAF. I rather have the book and the e book too. I dont have a printer to print the report u allow us to read. I always look forward to your seminars and materials. You seem to answer questions that come up in my mind at just the time I think of them – and I like that you give exact doses for the weights of the dogs. Do you have any adjustments to dosages based on the age of the dog (example, elderly dog). I know that age affects the dosage for humans, and was wondering if there is research along that line for animals too. Hi, I find this video very helpful because it so happens that my golden retriever female is actually limping on her right leg. She doesn’t limp all the time. She seems to start limping during a walk. She is also licking that paw a lot. So I’m going to check her out like you are showing on your video. Thank you so much Dr. Jones! I’m also sending my friends some of your e-mails so they can too register for your daily newsletters and hopefully they will buy your course. I strongly recommend it because they all have 2 or 3 dogs and cats. Thank you so much Dr. Jones! Healing naturally……YAY! Over the years, I have practiced holistic medicine as much as possible, but I really appreciate the pointers, which give me more confidence to diagnose and help my dogs/horses, etc. I am really very apprehensive of vaccinations and wormers, as well as surgery and such. Thanks for lots of tips on natural healing and on how to diagnose our animals at home. Many (including me) cant afford a vet visit each time their animal shows a symptom, so these pointers are so good for peace of mind with things we CAN do for our beloved pets. I AM LOOKING FORWARD TO YOUR SEMINAR,ON NOVEMBER THE 19,2009.YOU HAVE BEEN HELPFUL TO RAINEY AND MYSELF,WE WANT TO THANKYOU FOR WHAT YOU ARE DOING TO HELP OTHERS WITH PETS AND FOR OURSELVES. SO THANK YOU.A OUESTION IHAVE IS ABOUT KNEES JOINTS POPPING OUT OF PLACE,CAN YOU HELP ME WITH THIS?I WILL SEE YOU ON THURSDAY. Dr.Jones, I enjoyed your blogs,and am looking forward to putting your info into practice. I just brought a senior (6)yr.old Miniature poodle home. He’s a perfect fit for my husband & I who are both seniors. a real lap dog! We’re hoping to keep him healthy & plan on following your methods to help us do that.I have already ordered your supplement for him.& am anxiously looking for it’s arrival to start him on his way to great health & a wonderful life. We have a 3-1/2 year old toy poodle and she just had her 2nd (and last) litter – a single female pup. I have been listening to your videos and have learned so much. Thanks for making yourself available to those of us looking for a bettr way to care for our beloved family pets. I’m a chiropractor who uses surrogate muscle testing on dogs. I have found this effective in helping with musculoskeletal problems and allergies. I incorporate adjustments, soft tissue work, acupressure, homeopathy and testing for food sensitivity. Are you familiiar with this method? Keep up the great work in getting this information out. Very imformative and VALUABLE INFORMATION! Very useful to know in case of an emergency. You’re a saint to those of use who love our animals. ikillarod and it is cruel how these dogs are used. Beaten if they can’t run fast and there are no vets all along the way.